WIN #19: Burt's Bees - Baby Bee® Getting Started Kit! Win Baby Bee® Getting Started Kit from Burt's Bees worth £12.99. In the summer of 84', Roxanne Quimby an artist from Maine, hitched a ride with Burt Shavitz, a local fella whose beard was almost as well-known as his roadside honey stand. Burt and Roxanne hit it off, and before long, Roxanne was making candles with unused wax from Burt's beehives. Together, they made $200 at their first craft fayre and within a year, they'd make $20,000. From those first candles, to the iconic beeswax lip balm we all know today, Burt's Bees has stayed true to a very simple idea: what you put on your body should be made from the best nature has to offer. In 1999, the company went global, with offices opening in Canada, Hong Kong, Taiwan, Ireland and the UK. Burt's Bees have very kindly put aside a Baby Bee® Getting Started Kit worth £12.99 for one lucky reader/visitor of Unique Young Mum to win! From cleansing to moisturising, with this kit a new mama is ready for anything! Lovingly packed with a full store of nature's remedies right at her fingertips, it makes the perfect gift for mum and baby's beautiful, oh-so delicate skin. Baby Bee Nourishing Lotion (e30ml). Baby Bee Shampoo & Wash (e50ml). Baby Bee Diaper Ointment (e20g). Baby Bee Nourishing Oil (e30ml). Baby Bee Buttermilk Soap (e20g). Makes the perfect gift for new mums. Contains no phthalates, parabens, petrolatum, or SLS. Is safe, effective and natural! Please note: You must at least follow/like Unique Young Mum and Burt's Bees on at least one social media platform! 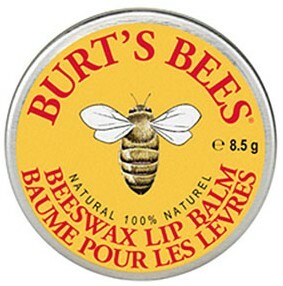 To find out more about Burt's Bees, and to view their full range of products, check out the official website here.